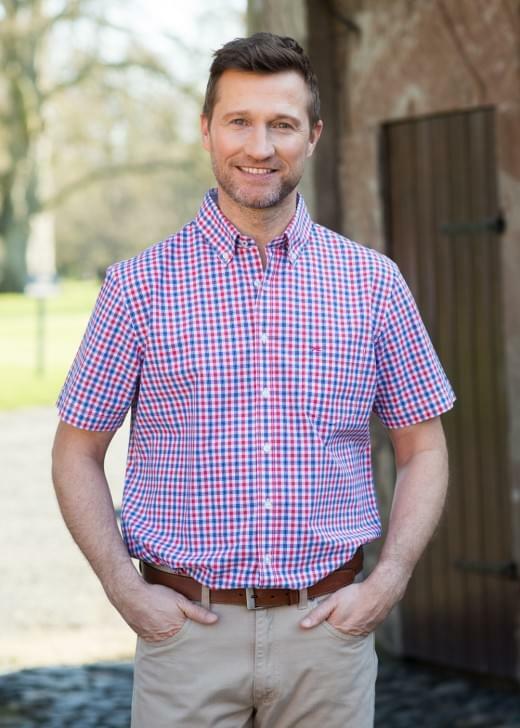 The Silk Washed Short Sleeve Shirt by Brax is a beautifully made cotton check shirt. The Silk Washed Short Sleeve Shirt by Brax is a beautifully made cotton check shirt. Featuring a smart button down collar and other subtle detailing, this shirt has a light and fresh feel to it, making it perfect for sprucing up your summer wardrobe.